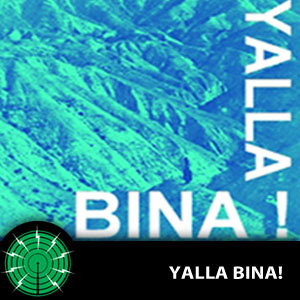 Yalla bina! Come and explore the music and culture of Palestine and the surrounding area with me on my year abroad in Nablus. I'm not going to lie to you - I'm no expert, and that's why I want you to come with me while I take my first steps into the region's rich cultural heritage. We cannot forget the politics of occupation, diaspora and liminality woven into the cultural fabric, however in this small space I'll be focusing on the rhythms and melodies that are jumbled up with those concepts and that will hopefully bring a little Palestinian sunshine into your living room, mum's kitchen or even into your headphones on the tube.